THE Tasmanian Electoral Commission has today announced the names of candidates contesting next month's Derwent Valley Council election. The election will be conducted by postal voting and the municipality's 7147 electors will receive their ballot packs in a fortnight's time, with a further two weeks to consider their vote and return their ballot. Following changes to the laws around council elections, all elected positions on all Tasmanian councils are up for grabs. There will be eight vacancies on the council following a decision to reduce the number of councillors by one. 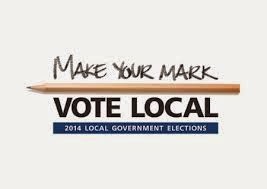 More information about the council election process is available at the Tasmanian Electoral Commission website. Nineteen people have nominated for the position of councillor. There is a good spread of candidates from the general area of New Norfolk, Magra, Molesworth and Lachlan, but none from Granton or anywhere past Lawitta.